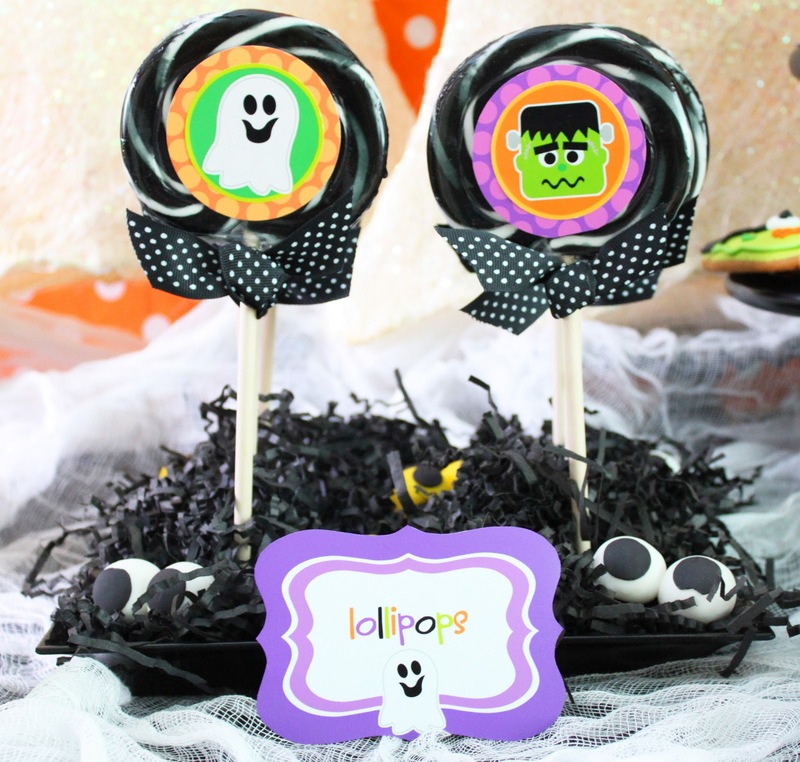 Do you ever wonder how all these talented party people get their lollipops to stand up perfectly straight? It's so easy, you won't believe it! With a little piece of wood and a drill with the right size drill bit, you can do it, too, in just a few minutes. Choose a serving piece for your lollipops. I chose a black square platter that I had on hand for this party table, but you could use a plate, a cardboard box, etc. Cut your wood to fit inside your serving piece. I found this piece in a scrap pile in the garage and got super lucky - it fit right inside my platter with no cutting! STEP 1: Next, grab a drill bit that is approximately the same size as your lollipop stick and drill holes for each of your lollipops into your wood piece. 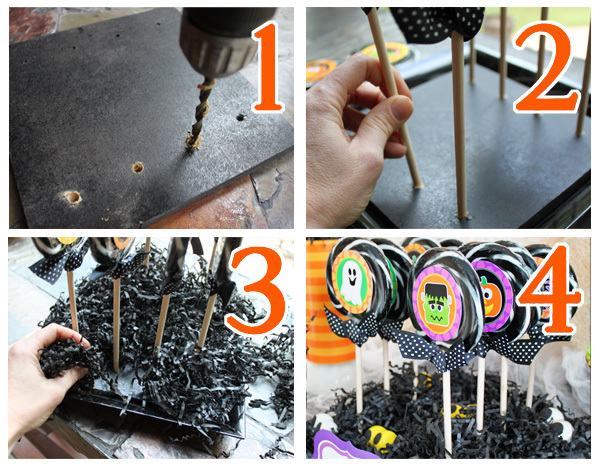 STEP 2: After you've drilled all of your holes, start inserting your lollipops in the holes. If some wobble a bit, you can use a small dab of hot glue to get them to stand a little straighter. Not too much though - you still want to be able to remove the suckers easily at the party. STEP 3: Use a little shredded paper to hide the wood and make your platter pretty. STEP 4: Admire your work! Easy! Well aren't you clever! I also use floral foam, but your idea is way more sturdy and can be used over and over again. I have had and idea like this floating around in my head for cake pops, not just for display, but for drying as well. 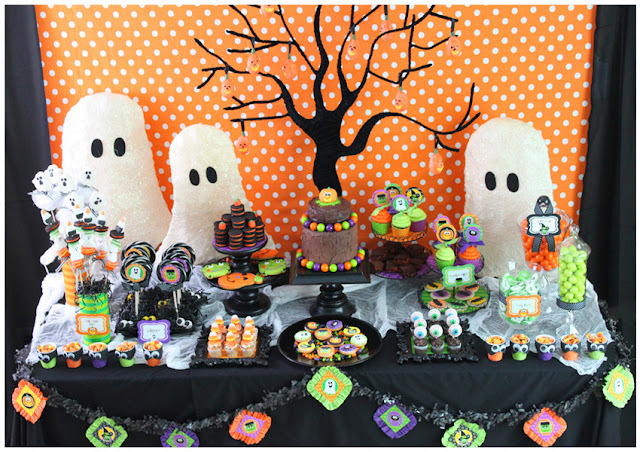 It is nice to see that it works, and that yours turned out so cute for that treat table. You did a great job. I love that you can customize this for any party, just with paint. Hopping over from Whipperberry and a new follower.